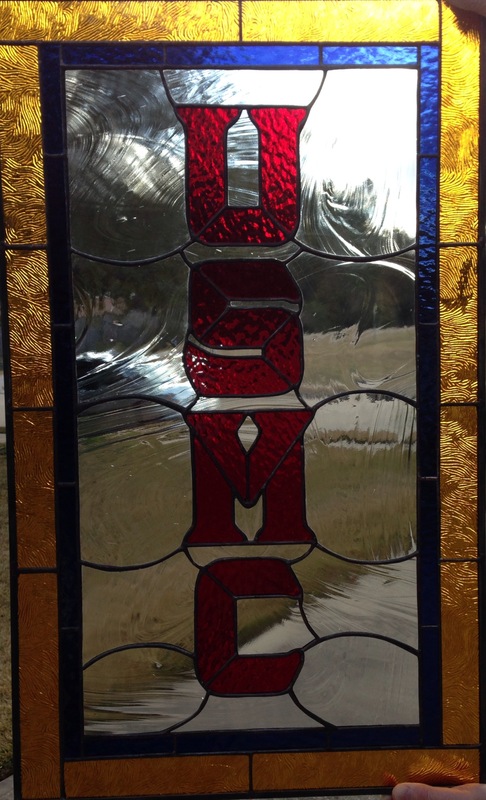 Beautiful USMC Stained Glass. This is a door insert for a credenza. 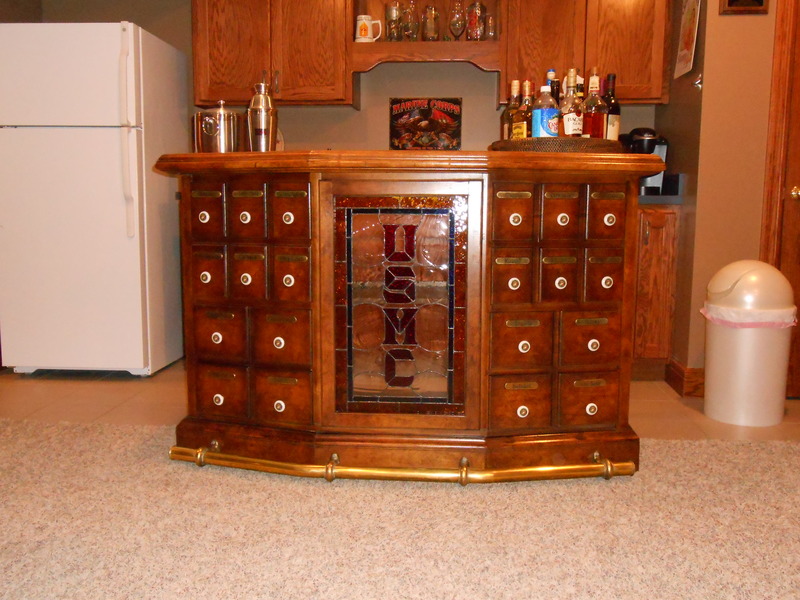 It is made with beautiful hammered red, navy blue, gold and clear glass. Measures approximately 17″ x 28″. For more information on this and other pieces please feel free to contact me at (713) 899-0933!